Two FBOs in the USA have become the newest members of the Paragon Network – Business Air at Denton Enterprise Airport in North Texas, and Indy Jet at Indianapolis Regional Airport in Indiana. Paragon is a collective of independent FBOs, which need to comply with a series of core standards. 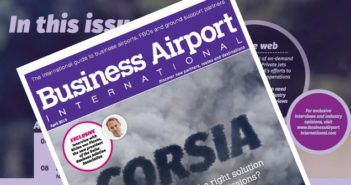 Business Air has been in operation for more than 15 years, and was recently praised by the City of Denton for its contribution to developing local business. NATA Safety 1st Certified line personnel, competitive fuel prices, no ramp fees and a range of passenger services are among its main selling points. Indy Jet purchased the full service FBO at Indianapolis Regional Airport in 2009, which has a recently renovated lobby and pilots’ lounge, an executive conference room and a state-of-the-art flight planning room. Its heated hangar space is big enough to accommodate a Gulfstream 650 and Global Express.